recent measurements in foraging tunnels of three species of African mole-rats have revealed, however, that concentrations of oxygen and carbon dioxide did not differ greatly from ambient values above ground. Nevertheless, gas concentrations may change rapidly after rains, they may differ in different soil types and depths, and, above all, they must change dramatically in the immediate vicinity of the nose of a burrowing animal. Normally, there are no air currents in underground burrows. One can imagine that an animal moving through the narrow tunnel acts like a piston securing the ventilation of burrows, much like a train in a subway tunnel. As suggested by Arieli, who significantly contributed to knowledge of respiratory physiology of mole-rats, enhanced burrowing activity following rains may serve as a means of replenishing the burrow atmosphere when the hypoxic-hy-percapnic situation becomes aggravated. Of course, working under such conditions becomes even more difficult. 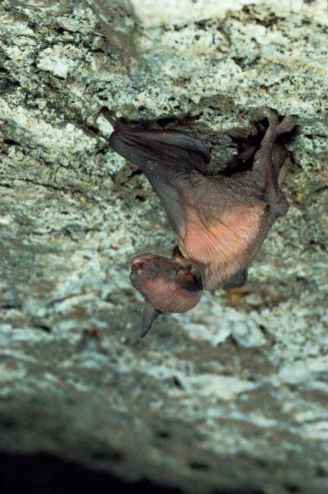 Whereas adaptations to extreme atmospheric conditions have been extensively studied in diving mammals and in mammals living at high altitudes, much less is known in this regard about subterranean mammals. The combination of extreme hypercapnia and hypoxia normally encountered and tolerated by subterranean animals is unique. Interestingly, whereas surface dwellers respond to hypercapnic conditions by increasing breathing frequency, subterranean mammals display lower ventilation rates than would be expected. In fact, ventilation is not effective for releasing carbon dioxide from blood when there is a high concentration of it in the inspired gas. The lungs of subterranean mammals do not show any specific morphological specializations—on the contrary they seem (at least in the few species studied so far) to be rather simplified and juvenile-like. Although the oxygen transport properties of blood vary markedly among subterranean mammals, and no generalizations can be made, relatively high hemoglobin affinity for oxygen has been reported consistently for several species of subterranean rodents. Because of the higher amount of carbon dioxide inhaled, a higher concentration of this gas in the blood and, thus, also higher blood acidity can be expected. It has been shown in the blind mole-rat that urine contains high values of bicarbonates and may serve as a pathway to bind and void carbon dioxide. Further adaptations to the extreme burrow atmosphere may involve higher capillary density in muscles (including the heart), higher volume of muscle mitochondria (found in the blind mole-rat), and, particularly, low metabolic rates and relaxed thermoregulation.